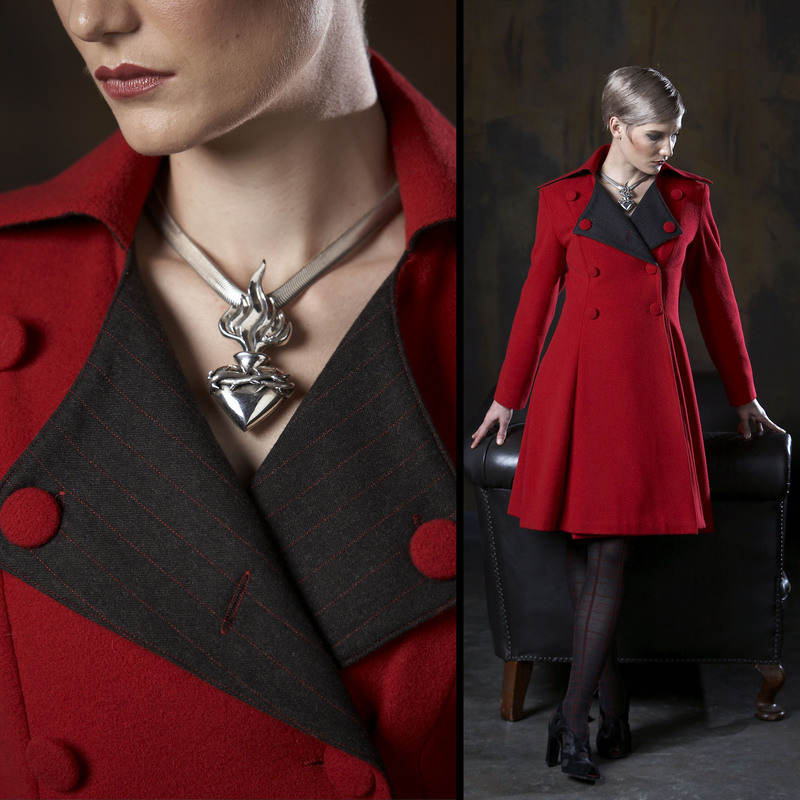 Daiana is wearing a simply stunning La Dolce Vita Dresscoat in RED wool cashmere. As the name suggests, it surely will be the sweet life strutting you stuff on those wintery days and nights in this timeless piece. Wear by itself with opaque tights, with a pencil skirt or tailored pants. How amazing is that necklace by Metal Couture!?!? !